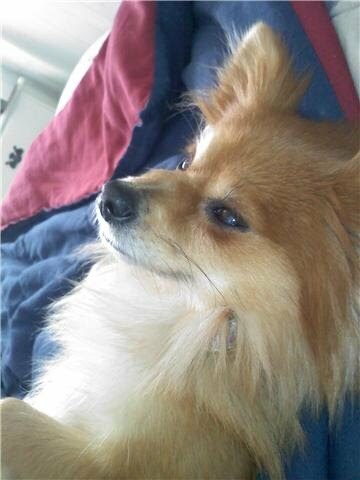 Polly - Diamond in the Ruff Rescue & Rehab, Inc.
Polly is a Pomeranian who came to us with her son, a Pom/Chihuahua mix named Bo. They were terrified when they first came, clinging to each other for comfort. Separating the two allowed them to both grow and explore on their own, showing us that they were both amicable creatures willing to please. They were fortunately adopted by close relatives who allow them to play together. Polly also loves playing with kids and lets them do almost anything to her!